Rose and walked Mix, breakfasted and went off to Gavinton Church with Mum and Rachel for the Harvest service during which Ann read from the story of Ruth, the Psalms (Psalm 15), a Gospel reading about God’s care for his people from Matthew chapter six, and a passage from the prophet Amos. 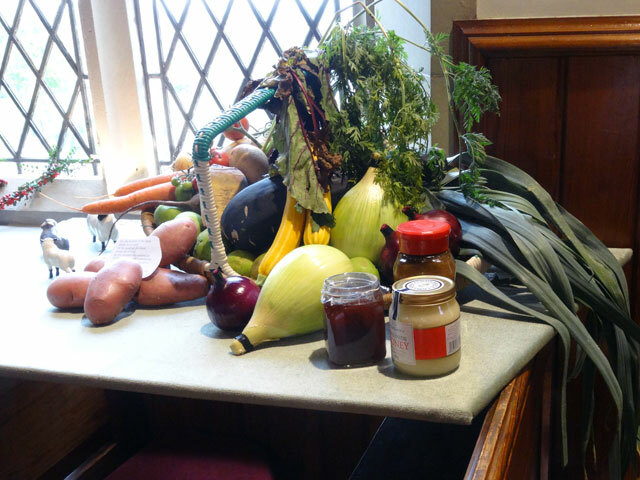 We were also told about a Harvest project under the banner of Practical Action supporting poor smallholder families in Nepal and encouraged to give to the project by putting money in a watering-can at the front of the Church. We also shared in a quiz about levels of poverty in Great Britain which illustrated the depth of need here as well as in other parts of the world. After Church we joined the congregation for coffee before returning home at which point I settled down in front of the television and watched the Ryder Cup. In the end Europe won quite convincingly by sixteen and a half points to eleven and a half but this was only after some of our better golfers had overturned significant leads against them to win individual victories. It was excellent viewing. Rachel went off to Evensong and on her return we all ate together in the farmhouse before watching Downton Abbey in the Granary and then walking the dogs and bed. It has been a good day.